Asistencia de idiomas está disponible para las personas con habilidad limitada del Inglés. Visite nuestra oficina o llame al (208) 467-6576 6:30 AM a 5:00 PM, de lunes a jueves. 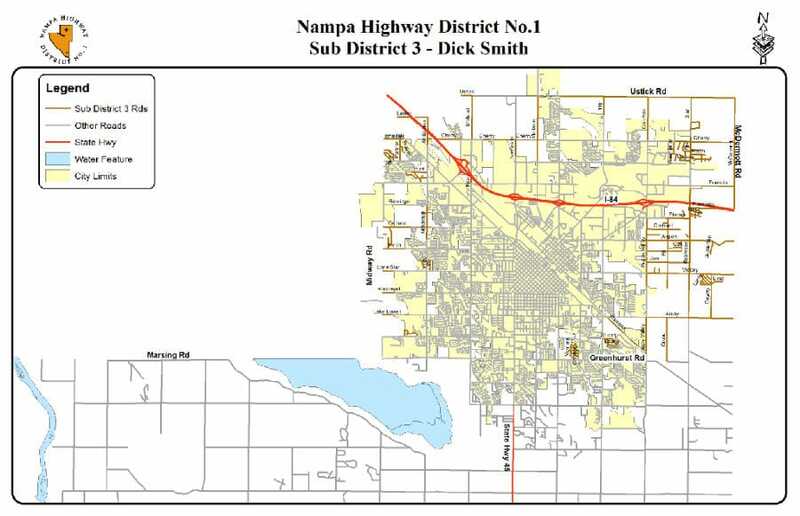 Nampa Highway District No. 1 (NHD) is one of four highway districts that serve Canyon County. Each is a political subdivision of the State of Idaho and is independent of state, city or county governments. The authority of the highway districts is set forth in Idaho Code Title 40, Chapter 13. NHD maintains 367 miles of roadways, and associated signs, bridges, and culverts. NHD is governed by three elected Commissioners and has 34 employees. 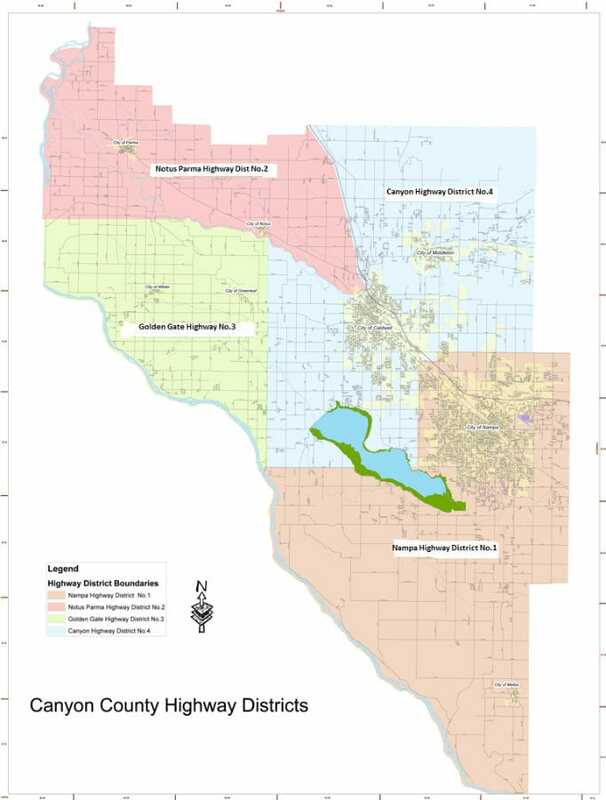 NHD Jurisdictional boundaries are shown in the "Canyon County" Highway Districts Map. 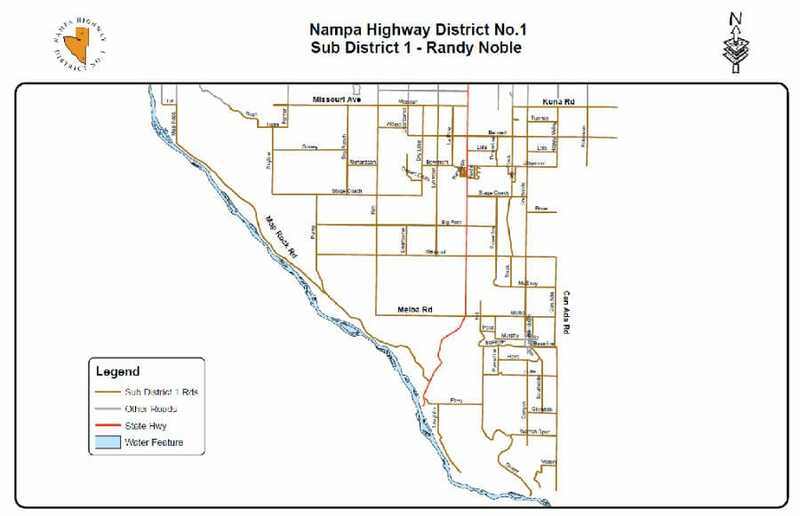 NHD is composed of the southern portion of Canyon County, bounded by Marsing Rd. (west of Lake Lowell), and Midland Blvd. and Ustick Rd. (north and east of Lake Lowell). 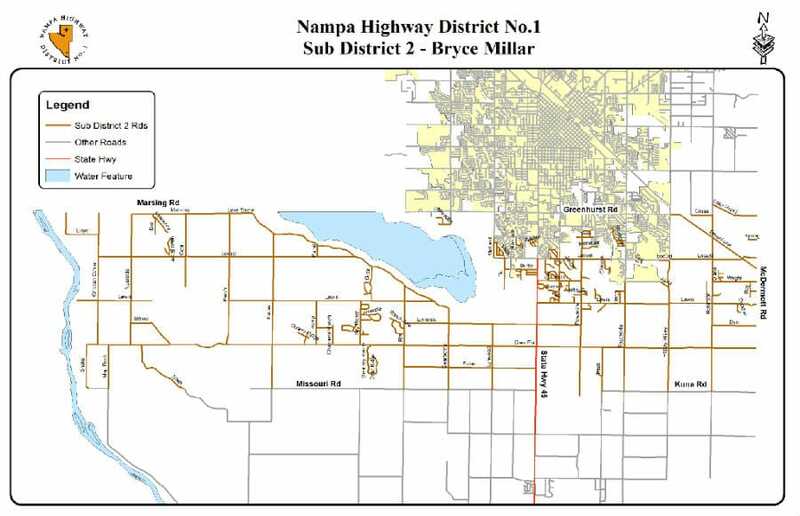 NHD does not have jurisdiction over City of Nampa or City of Melba roads.